The Hockey Scoreboard - The first universal scoreboard app designed for Hockey; now with remote scoreboard control capabilities. 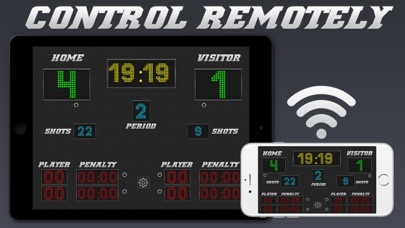 Combine the excitement of your hockey game with the technology of iOS devices, together they work hand in hand. 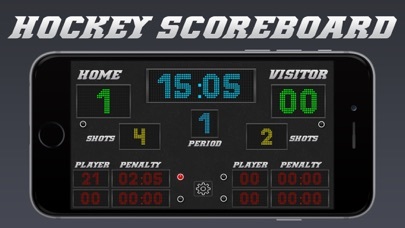 The Hockey Scoreboard boasts full Retina support with a clear, beautiful design. Our aim was to create a professional looking scoreboard, without cluttering it with buttons and options. The app has fantastically easy usability; to change the score, shots or pausing the game clock requires one tap. 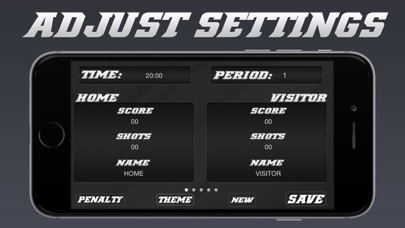 Features include: - Remote Scoreboard - Using another iOS device, you can control the Scoreboard. 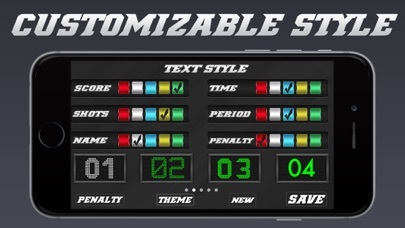 You can set scores, shots, time, penalties, fonts, themes and much more. - Full game stats - Statistics provided at the end of the period and game. You can share your game summary on Facebook, Twitter, Evernote, Flickr, Email and more. 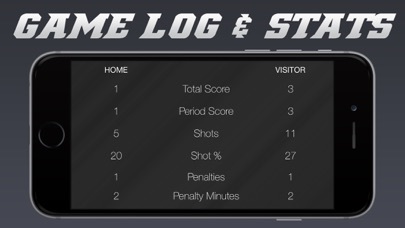 - Play By Play Log - Every shot, every face-off, every goal can be seen in the Game log feature. You can access (and share) this at the end of each period / game. - Goal horns and goal movies - Choose national league goal horns* to play when a team scores. -Auto Overtime- Automatically offers an overtime period if the game is a draw. - Multiple themes - Customise the appearance from a choice of 13 themes. -Change text colour / style- You can adjust the color of each element including: Clock, team names, period, score, shots and penalty. If you have added too many shots, or you need to add a penalty, one tap will get you to the settings page, where you can: - Change teams names - Set the period - Change the score - Change the shot counter - Add / modify / remove a penalty. - Set 1 minute announcements - Enable whistle / horn at the end of period - Set global period length - count the clock down, or up for international regulation games. As the app has no advertising, it works and looks very well in a professional environment, school games or league hockey. You can take advantage of the high resolution graphics to output to an external screen if desired. (External equipment required). *Hockey Goal Horns app required for this feature.